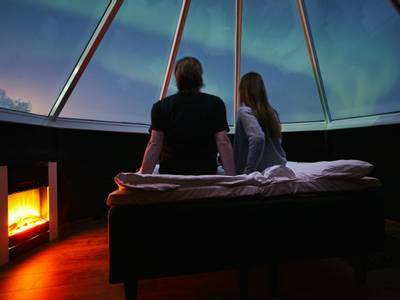 Enjoy a complimentary night in an Aurora Cabin and an Ice Cabin on all March departures. 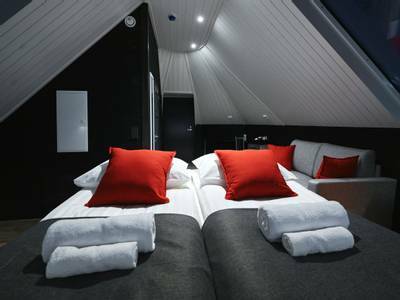 Quote ‘AURORA CABIN & ICE CABIN’ when you book. Terms and conditions apply, click here for more information. 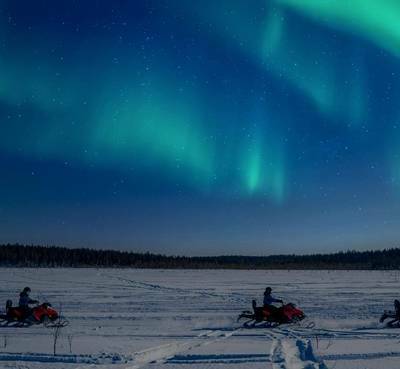 The guided activities during the day offer brilliant chances to explore the snowy landscapes and the night-time tours are always exciting adventures into the pitch-black Arctic night in search of the Northern Lights. Yes, I was lucky enough to see the lights but it was the entire Apukka experience that made my visit absolutely unforgettable. 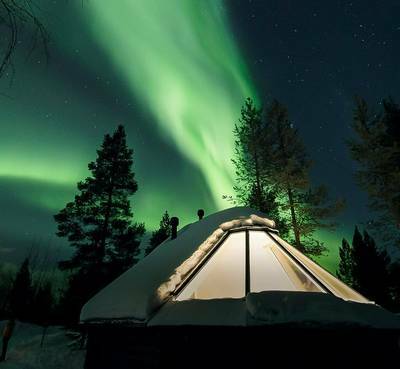 Apukka Resort, Finland is the ideal place for an Arctic and Aurora experience. 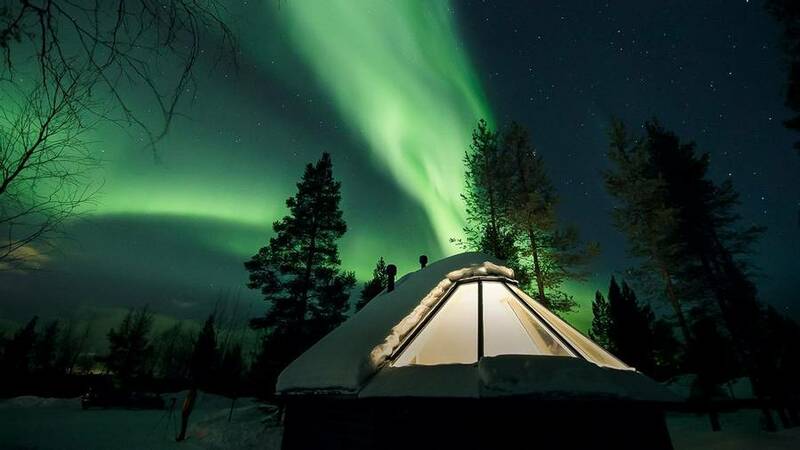 During your 4 nights here, you will take advantage of the dark skies with dedicated Aurora activities. 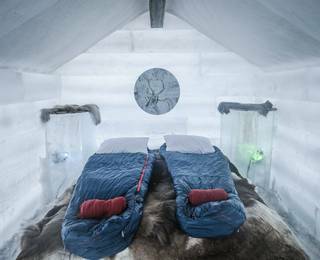 Your days will be spent exploring the Lappish landscapes via dog sled and snowmobile. 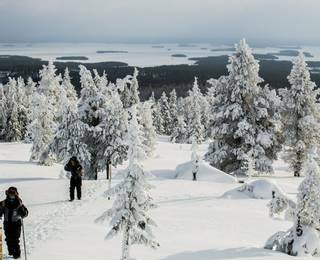 Flights: return from London to Rovaniemi (either direct or via Helsinki depending on departure date). Regional and non-UK departures available on request (flight routes are subject to change). 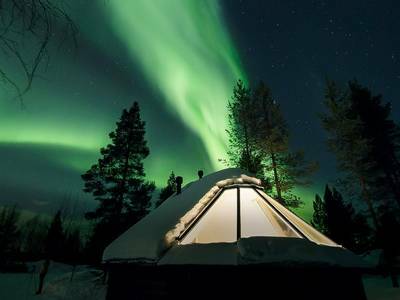 Journey across the Arctic Circle and give yourself an exceptional chance of seeing an amazing Northern Lights display. 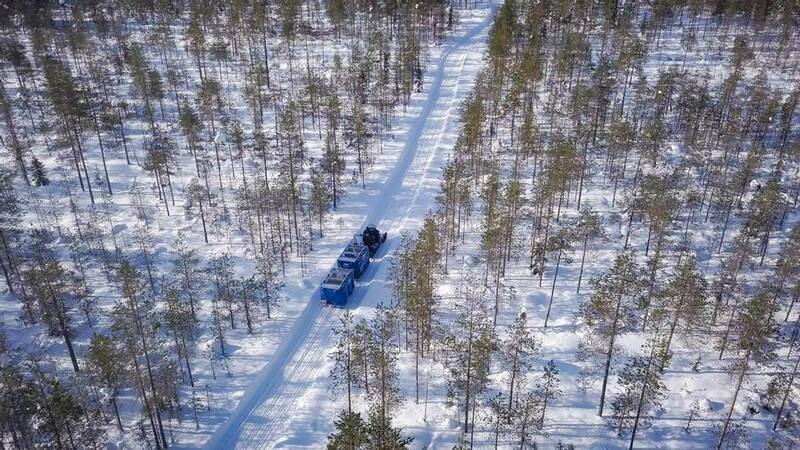 Easily accessible from the airport, you won’t have to travel far to reach Apukka’s beautiful winter environment complete with frozen lakes and snowy forests. There’s a good choice of accommodation here. 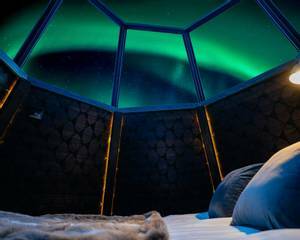 You can choose from relaxing Apukka Apartments or welcoming Apukka Holidays Homes but to make your Arctic stay even more memorable it’s well worth including a night in the on-site Ice Cabins or one of 25 fabulous north-facing Aurora Cabins. 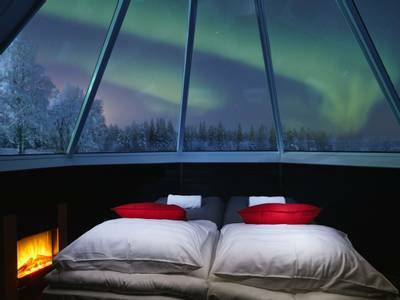 It’s not unusual for guests to see the Northern Lights from the comfort of their accommodation but, the best views are to be found outside. 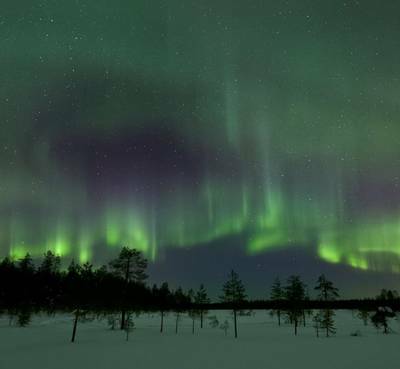 We include key Aurora activities to take advantage of the excellent field of vision here at Apukka where unobstructed views of the night sky are the order of the day (night!). 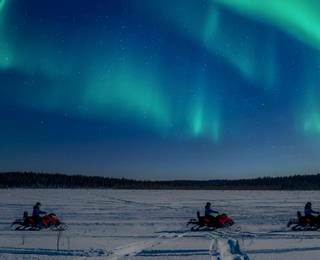 From the warmth of the cosy Snowtrain to a rather special reindeer night safari, on every outing into the Arctic night, our expert local guides will do everything they can to help you see nature’s incredible light display. 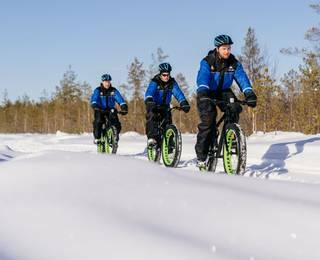 Our holidays offer you the full Lappish experience during the day too and with activities starting just across the road, you’ll waste no time getting stuck in. 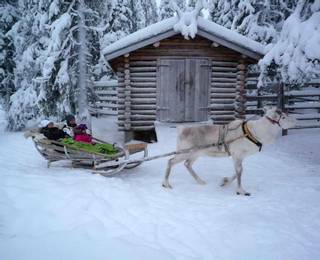 The adventure seekers among you will love our dog sledding activity. 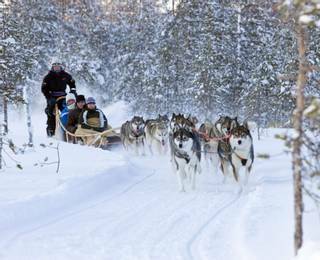 You’ll find yourself taking the helm of a sled pulled by a team of eager canines and experience what it’s like to be a real “musher”. 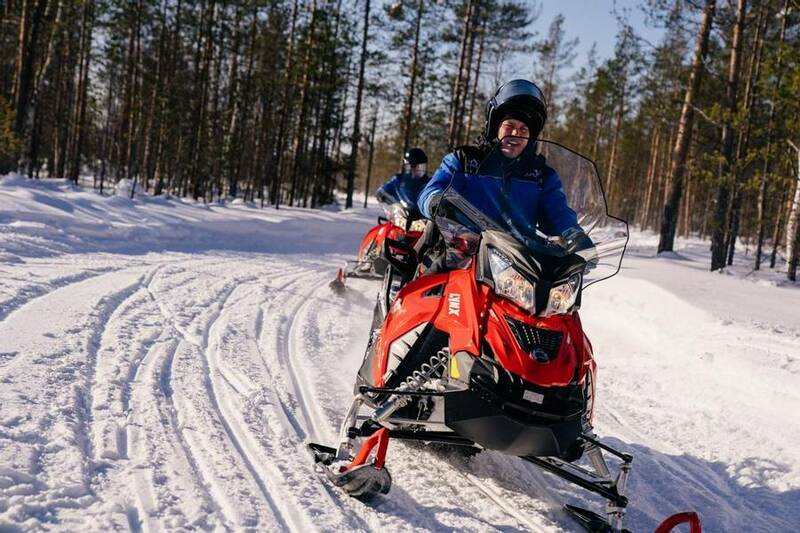 You’ll also jump onto a snowmobile and explore the picture-perfect landscapes, expertly chosen by our local guides. In a location like this, we want to give you every opportunity to enjoy the scenery and get a real taste of the snowy winter expanses. 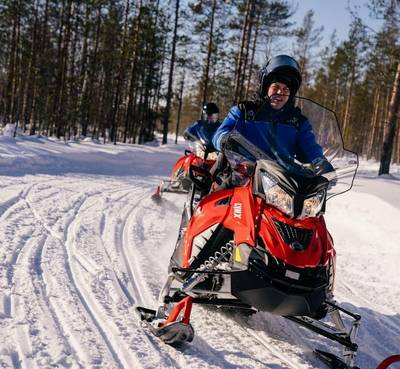 Travelling by snowmobile is the very best way to see as much as possible within a short timeframe. 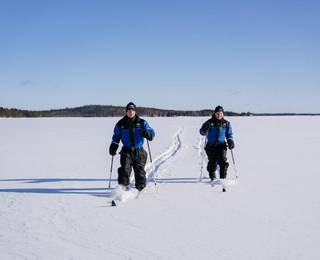 Snowshoes and skis are available for hire so you can get out and explore under your own steam. Alternatively, hop on board the Snowtrain and enjoy the brilliant-white landscapes in heated comfort. 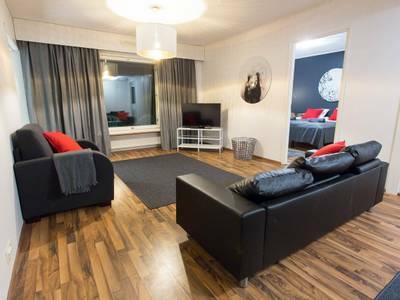 Please note, most activities start just a short walk away from your accommodation. You will need to cross a road, but a guide will be with you at all times to help you cross. Vehicles do pass along this main road, however, it is not a busy route. 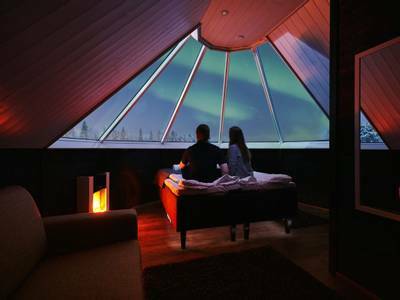 The Apukka Resort is famed as being one of the top locations around Rovaniemi for seeing the Northern Lights. 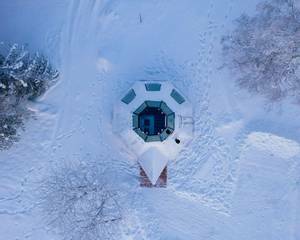 The landscape is largely composed of open lakes and snowy fields which means that views of the sky are rarely interrupted. 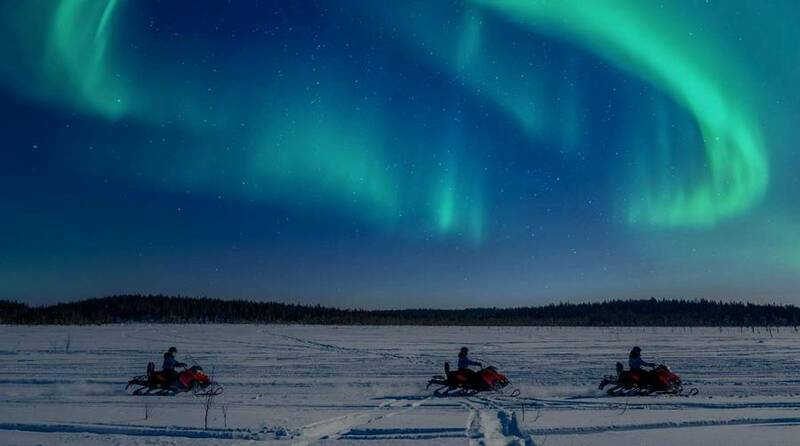 Our Aurora hunting tours are specially designed and guided, by local experts to give you the best chance of ticking the Northern Lights off your bucket list. 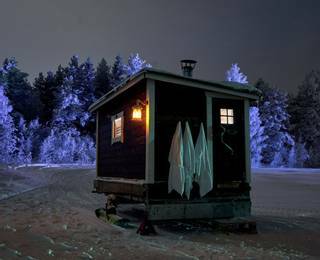 What’s more, using our own travel experience in partnership with excellent local guides, we’ve designed a holiday to ensure you fall in love with Finland’s incredible countryside by day and by night. 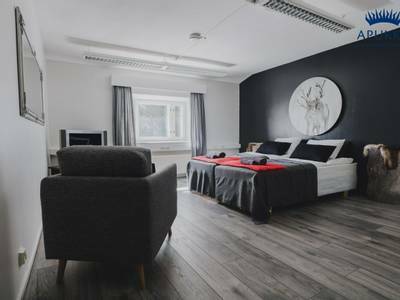 Once you’ve collected your luggage at Rovaniemi Airport, our transfer vehicle will be ready and waiting to take you to your accommodation which is just a short drive away. 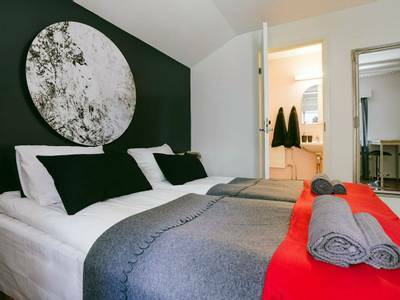 Once there, you’ll be given your warm winter clothing to use for the duration of your stay. 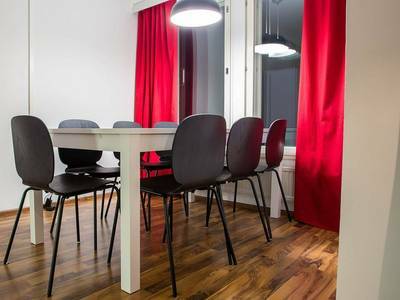 Drop your bags off and settle in before filling up on a hearty three-course buffet meal in the restaurant. 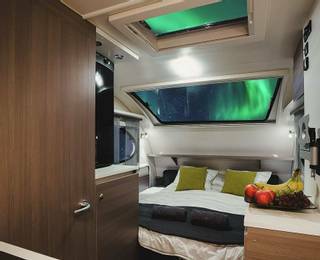 Depending on flight times, you may have the option to start your Northern Lights hunting straight away. 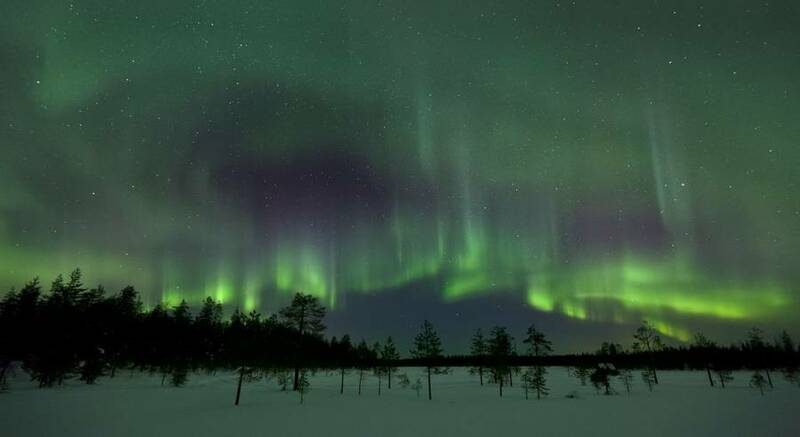 See our ‘Personalise’ tab for a range of Aurora searching activities. After breakfast, it’s time to meet some famous locals – the eager dogs who will be waiting impatiently to guide your sled along the snowy trails. 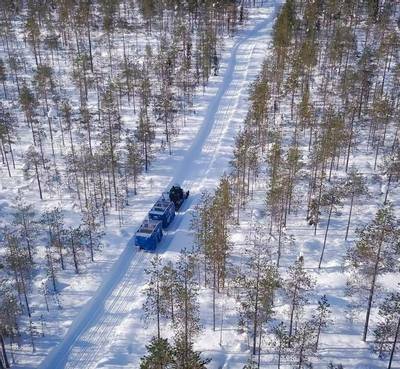 The tour lasts approximately two hours as you’re pulled along a 7-10km track for an hour and then given time to pet and take photos with your sled-dogs. You’ll have some free time before dinner after which, the night-time hunt begins. 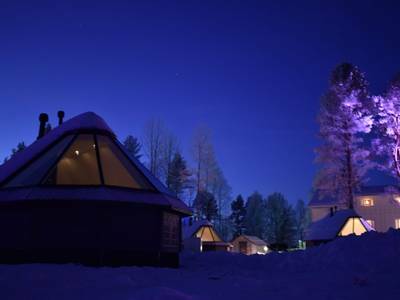 Get comfortable in a cosy Snowtrain carriage pulled by your guide’s snowmobile. This unique way to hunt for the Aurora will take you further into the wilds and beneath dark skies. It’s then down to Mother Nature, so keep your eyes peeled for green light as it starts to emerge from the darkness. 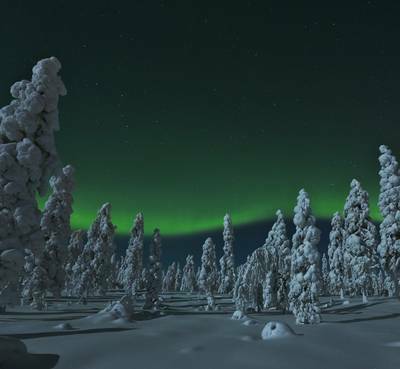 During your journey, you’ll stop at a traditional Finnish Kota (wilderness shelter) where fire-grilled sausages and hot drinks will keep you warm while our Aurora Expert explains the science behind the magic. 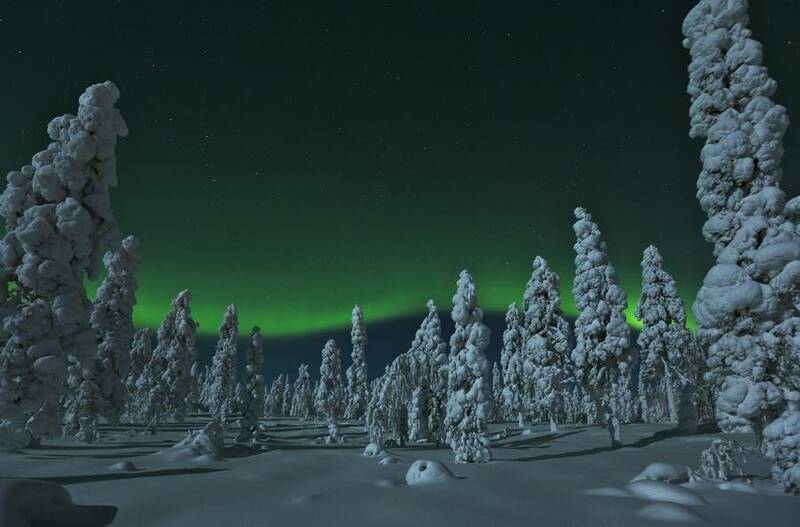 You’ll also get help with your camera settings in case the Northern Lights make their grand appearance. This tour lasts approximately three hours. 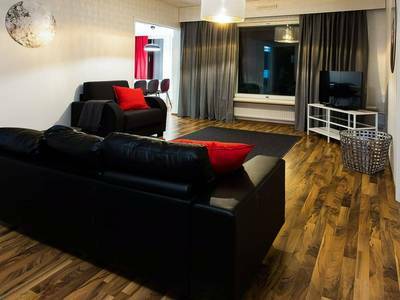 The day is yours to do as you please and our ‘Personalise’ tab will give you some great ideas for additional activities. 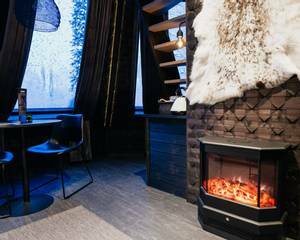 In the evening, you’ll have a relaxing dinner followed by a peaceful reindeer-pulled sleigh ride into the dark night in search of the mystical Northern Lights. 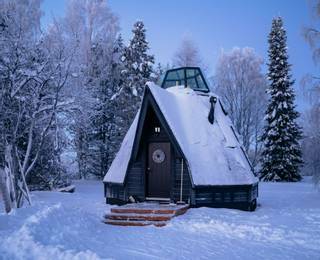 During your trip, you’ll stop off at a traditional Lappish Kota (wilderness shelter) for hot drinks and sausages. The tour lasts approximately three hours. A winter sunrise in Finland doesn’t mean a jaw-droppingly early start which is why we make the most of it. 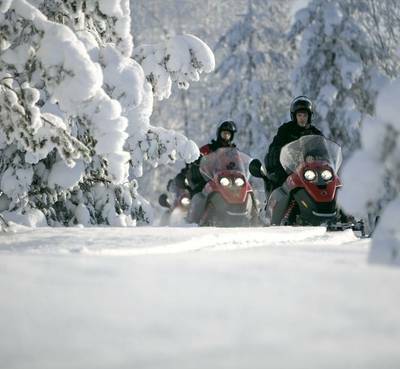 After your breakfast, you’ll be given a full safety briefing before you head out on your snowmobile into the wilderness. This form of transport makes it easy to reach an expertly-chosen location for what will hopefully be an unforgettable sunrise. The trip lasts approximately two hours and you must be over 18 years old and hold a full driving licence to take part in this activity. 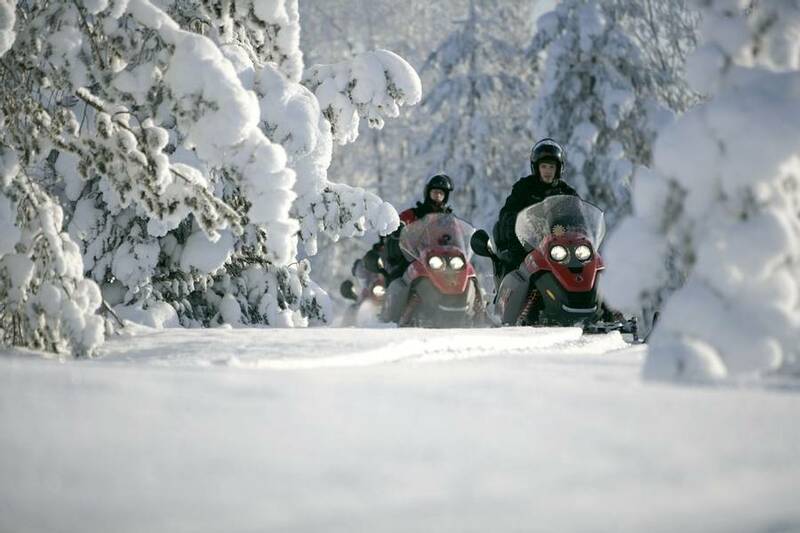 Two people will share a snowmobile or you can drive your own snowmobile for an extra charge. Sadly, it’s one last breakfast before our transfer takes you and your memories of Lapland home. If you have an early flight time, we’ll box up breakfast to take with you. 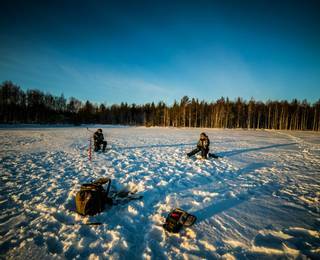 Local guides will take you to the best fishing spot on the ice where you’ll sit back and admire the nature around you and wait to see if you get the catch of the day. 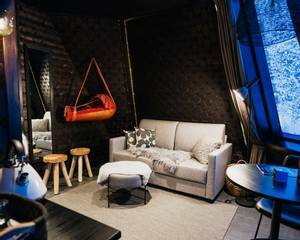 No previous experience is needed and hot drinks by the open fire will keep you warm. Read more ice fishing, which was excellent, particularly with such a good guide (Norah). Recommended. Very happy we upgraded to cabin. Very comfortable and lovely views of the stars. Winter weather gear also very good quality and necessary. The holiday was amazing, the Apukka resort is a wonderful place to stay, friendly helpful people that went over and above to make our stay enjoyable.